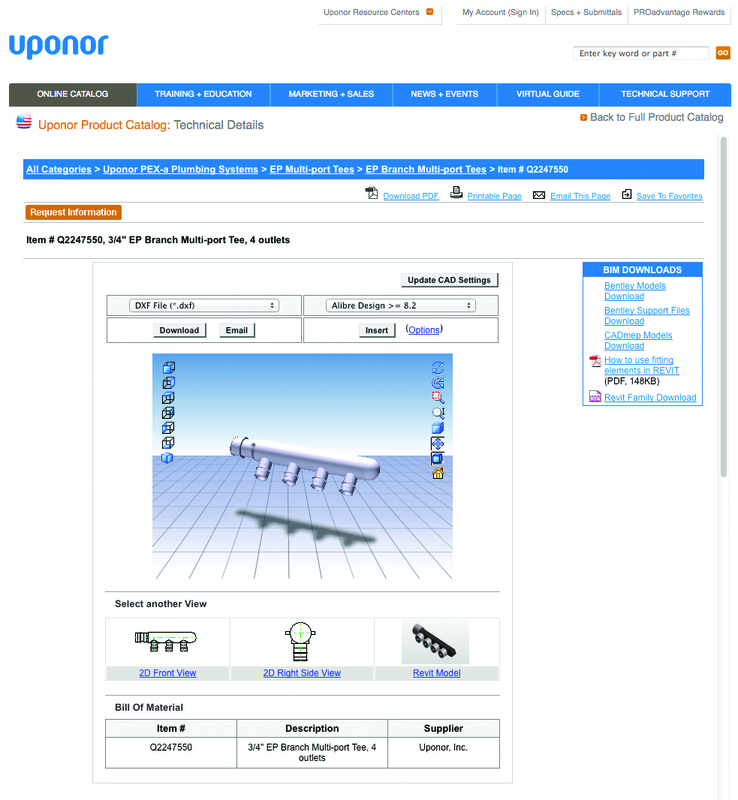 Through a partnership with Thomas Enterprise Solutions™, Uponor North America (Uponor) now offers CAD and building information modeling (BIM) design files right from the Online Catalog on Uponorpro.com for faster, easier specifying, designing and estimating commercial PEX plumbing, radiant heating/cooling and hydronic distribution piping projects. Professionals who visit the site can access more than 350 Uponor product parts in 32 available file formats to quickly and accurately design and estimate their projects. "Partnering with Thomas Enterprise Solutions allows us to provide the most current data in a wide variety of CAD and BIM formats, offering engineers a solution for including Uponor products and systems in the early stages of a commercial building project," says Tony Radcliff, vice president of Marketing, Offerings and Engineering at Uponor. Accessing the files is easy and intuitive through the new interface. 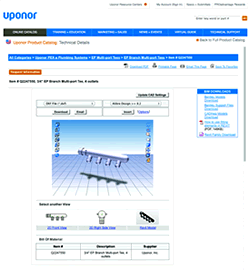 Users simply go to the Online Catalog on Uponorpro.com to select the parts they want and then select the BIM or CAD details icon to access the navigator. This will generate the desired CAD or BIM file on-demand from the most current details in the product information database. Professionals can now access more than 350 Uponor parts in 32 available file formats on Uponorpro.com via Thomas Enterprise Solutions.